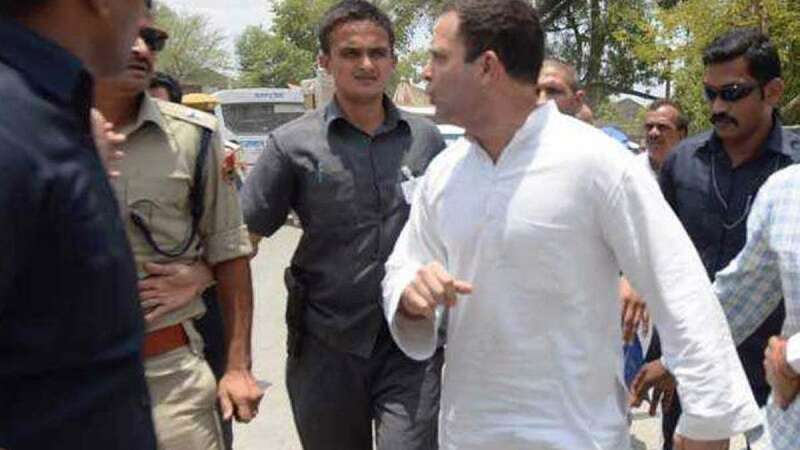 Bhopal : Congress Vice President Rahul Gandhi on Thursday sent his security personnel into a tizzy after he took a bike ride to reach Mandsaur in Madhya Pradesh where police shot dead five protesting farmers. As he entered Neemuch district, he saw a group of policemen near a toll plaza deployed to stop him. Gandhi immediately switched over to a motorcycle and gave them - as well as his own NSG personnel - the slip.